All three chains see iced drinks as a way to increase sales. In New England, where Dunkin' Brands Dunkin Donuts began, people drink iced coffee all year round. It's not uncommon to see someone remove a winter glove or mitten in order to hold onto their large iced coffee as they walk out into a cold winter day. That love of cold beverages -- specifically iced coffee-based drinks -- has led Starbucks, McDonald's, and Dunkin' Donuts all to increase their cold coffee offerings recently. It's a cold drink battle for sales that's pushing innovation and giving consumers a lot of choices. STARBUCKS HAS A NEW LINE OF COLD-PRESSED ESPRESSO DRINKS. Last year, the craze was cold brew. 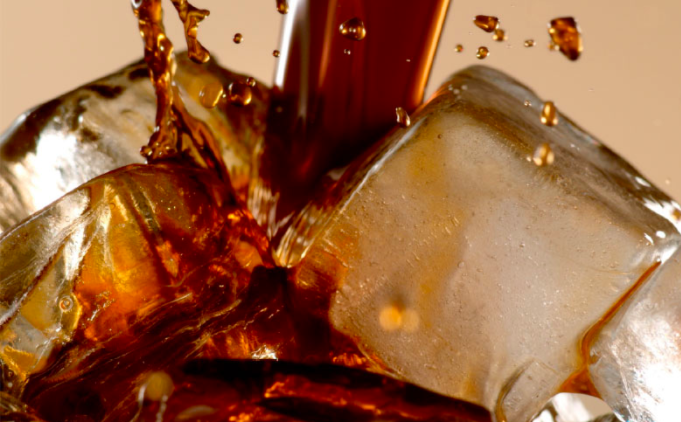 Both Dunkin' and Starbucks still sell the incredibly popular, less-acidic iced coffee, which takes at least 12 hours to brew, while McDonald's never joined that particular party. Recently, however, McDonald's has put a new emphasis on its McCafe brand. This includes revamping its beverage lineup to include coffee house staples such as cappuccino, caramel macchiato, and Americano. All of these can be served hot or cold. On the cold front, the burger chain has partnered with Coca-Cola to bring a line of ready-to-drink McCafe Frappe beverages to grocery stores. They will be competing on store shelves with Dunkin's new ready-to-drink line, and Starbucks' expansive bottled offering that includes cold brew, iced coffee, energy drinks, and Frappuccinos. McDonald's is also pushing its rivals on price -- perhaps because it knows it's not the first choice for coffee aficionados. The chain has been offering any McCafe coffee hot or iced for $2 for a small. While McDonald's changes are really about offering a traditional coffee house lineup of drinks, Starbucks and Dunkin' both have pushed their research and development teams to find something new. For Dunkin' that has involved a steady stream of seasonal flavor choices as well as making the tough decision to drop its Coffee Coolatta in favor of the new Frozen Dunkin' Coffee. The new frozen coffee, a direct attempt to compete with Starbucks' Frappuccino frozen line, is "made with a special extract featuring 100% Arabica coffee to bring forward the signature flavor of the brand's premium coffee, blended with ice and dairy," according to a press release. Some would say it's not as good as Frappuccino, but it's better than most frozen coffee products, and a big improvement over Coolatta. Starbucks also regularly innovates in the cold space, trying all sorts of limited-edition Frappuccino flavors as well as other iced beverages. For the fall, the chain has something new entirely -- Cold-Pressed Espresso, "a new patent-pending cold extraction process that will serve as the foundation for a new menu of sparkling beverages," the company said in a press release. At first this new line of cold-pressed drinks, which take about an hour to make, will only be offered at the chain's Seattle Roastery. That could change as a number of products have been introduced at the Roastery and then rolled out either selectively or system wide. While none of the three chains regularly report a breakdown of cold drink sales, Starbucks offered some data during its 2016 investor conference. 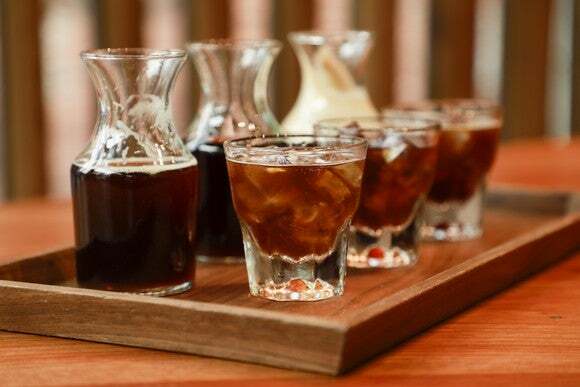 The company said "it expects to quadruple the Cold Brew business by 2021 and its overall cold beverage mix to move from over 35% in 2013 to nearly 50% by 2021." In addition, the chain cited research noting that "iced coffee consumption has grown by 75% in the past decade and cold brew sales grew 338.9% between 2010 and 2015." Iced coffee offers opportunities for all three companies to grow their business. Starbucks has shown with Frappuccino and cold brew that iced and frozen drinks can lure in casual coffee fans who want special flavors. That's a model Dunkin' Donuts has long followed and one where it continues to innovate. McDonald's isn't innovating as much as it's copying what works elsewhere. That probably won't woo any dedicated fans of its rivals, but it could increase how much the chain's existing customer base spends. Starbucks is clearly the leader here, but all three chains clearly have an opportunity to grow their business in the iced coffee space.